What to do about depression? The lethargy and lack of motivation are monsters, Mr. Bill. I’ve heard about Provigil, but need to know more. Any help? Of course! There’s always help (and hope) floating about here on Chipur. 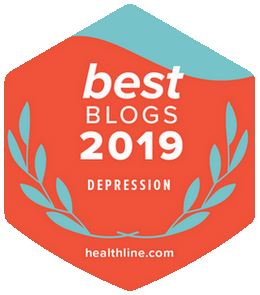 When it comes to what to do about depression – therapies, meds, lifestyle adjustments – Chipur will always be an at-hand source of objective information one can use in any decision-making process. What to Do About Depression? What Is Provigil? What Does It Do? I have several distance counseling clients using Provigil as an adjunct (add-on) medication for the treatment of their depression. In preparation for this piece I asked one of them to share keywords to describe the effect when she uses it (once a week, as an add-on to her antidepressant regimen). She replied – motivation, energy, increased mood. Provigil (generic name modafinil, which we’re going to use throughout the article) is a eugeroic drug. Eugeroics are a class of psychoactive meds that act as a stimulant. They’re also known as “wakefulness-promoting agents.” In the US, modafinil is FDA approved for the treatment of narcolepsy, shift work sleep disorder, and excessive daytime sleepiness associated with obstructive sleep apnea. It’s also prescribed off-label for the treatment of depression. By the way, it’s prescribed in the same manner for the treatment of fibromyalgia and chronic fatigue syndrome. Modafinil (again, the generic) is available in the US. Some nice money savings, for sure. Now then, modafinil’s exact mechanism of action is a bit unclear (gee, a psychoactive drug – what a surprise). However, it looks as though it increases the release of the monoamine neurotransmitters norepinephrine and dopamine. It also elevates histamine levels in the brain’s hypothalamus. And it’s that action that has some scientists believing modafinil is actually a “wakefulness promoting agent,” as opposed to a classic amphetamine-like stimulant. Like most any medication, especially the psychoactives, words of caution need to be expressed regarding using modafinil. Please discuss these with your doc if you’re considering giving it a go. Talk to your doc about using alcohol when taking modafinil. A recent study showed slight euphoria, increased blood pressure, heart rate – and some participants presented with mild to moderate effects mimicking the action of amphetamines. Modafinil can make certain types of birth control pills less effective. Modafinil in combination with Yohimbine (an alkaloid with stimulant and aphrodisiac effects) causes a dangerous increase in heart rate and blood pressure. So what about the potential for abuse? A National Institute on Alcohol Abuse and Alcoholism (NIAAA) study highlighted “the need for heightened awareness for potential abuse of and dependence on modafinil in vulnerable populations.” And that’s because of modafinil’s effect upon dopamine in the brain’s reward center. Common side effects of modafinil use may include sleep disturbance (especially if taken later in the day – modafinil has an elimination half-life of 15 hours), back pain, headache, nausea, nervousness, stuffy nose, diarrhea, anxiety, dizziness, and upset stomach. More serious side effects may include a troubling rash, allergic reaction involving the liver or blood cells, hives, mouth sores, blistering or peeling skin, swelling of the face, eyes, lips, tongue, legs, or throat – trouble swallowing or breathing, fever, shortness of breath, yellowing of the skin or whites of the eyes, dark urine. 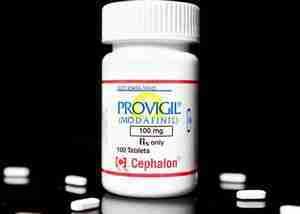 For the record, in 2007 the FDA ordered manufacturer Cephalon to modify the Provigil leaflet in bold-face print with several serious and potentially fatal conditions attributed to modafinil use. These included toxic epidermal necrolysis (TEN), DRESS syndrome, and Stevens-Johnson syndrome (SJS). I know we closed the article with some weighty contraindications, warnings, and side effects. However, modafinil (Provigil) may well be an option when you pose the “What to do about depression?” question. In many cases it really does appear to offer a safe boost in motivation, energy, and mood. 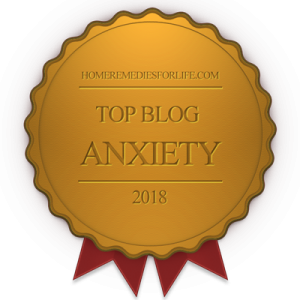 I’m always pleased to provide objective information about anything that holds the potential to provide relief for those enduring the mood and anxiety disorders. Ultimately, the decisions are yours – but knowledge is always power. Would you like to see a listing of all Chipur Meds, Supplements, Devices articles. Click away!